Get a smart content management system to create and manage multiple web sections and embed them into your website. 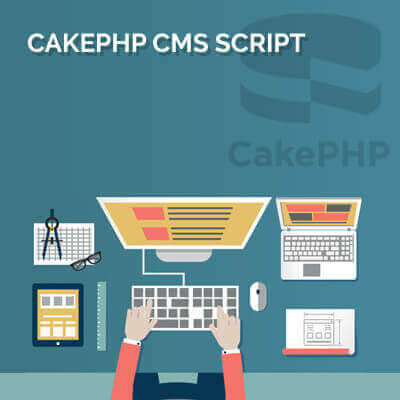 Our CakePHP CMS script is designed to provide you with super easy content administration tools. You can upload a wide range of files and add users with certain access level to the CMS script. Get a developer-friendly adaption of the system to your specific needs. – Pages management – add, edit and delete pages. – Drag and drop ordering of the navigation menu, with the option to select which pages show in the top and bottom menu. – Site Blocks – Set general content global area’s – such as header and footer sections, which can be edited and updated site wide. – Blog – add, edit and delete blog articles. Have the ability to turn off the blog section if it isn’t needed. – Contact Form and Leads Management. A simple contact form is included by default, which emails the website administrator and stores the details in the Leads area. – Manage Admin Users – add, edit and delete the users of the CMS. – General Settings – control the overall settings such as the Site Name, Site Email Address and Google Analytics script. – Easy installer. On initial set up, the website has a simple installer for setting the site details and creating the first admin user. Enquiry about "CakePHP CMS Script"
Download Trial for "CakePHP CMS Script"